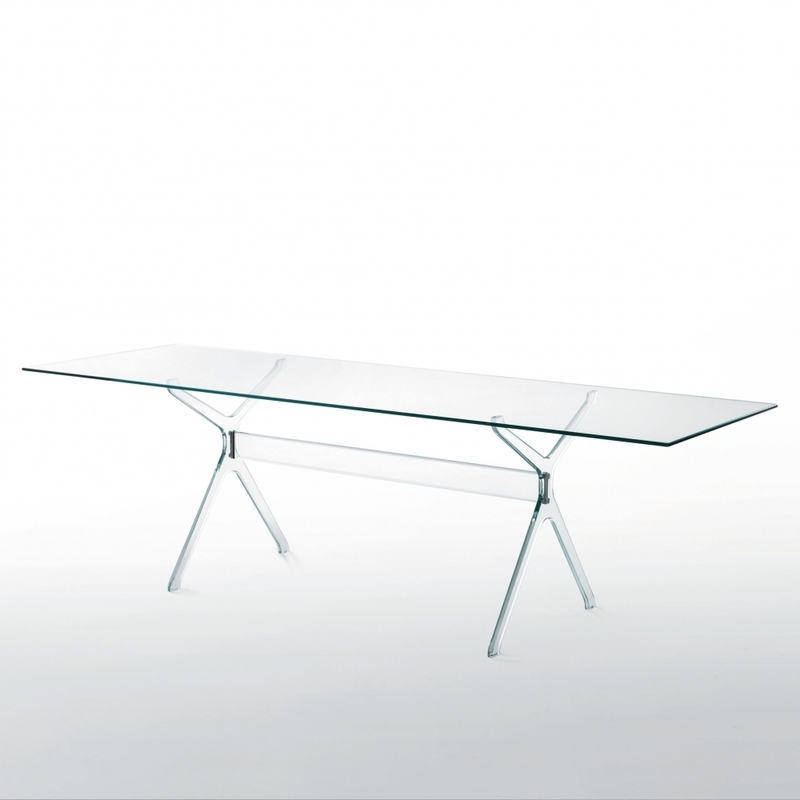 Rectangular dining table with top in tempered transparent extra light glass 12 mm. thick with shiny curved ground edge. The base, in transparent extra light 19 mm. thick glass, shaped and ground with shiny curved edge, is composed of two supporting elements, linked to a tie bar by means of satined steel plates. The extreme thinness and lightness of the base, achieved through a sophisticated and complex production process, corresponds to the solidity provided by the special tempering process.